Hi there! I'm Tonja Irvine from Smart Puppy Learning and Ta-Doodles Illustrations. 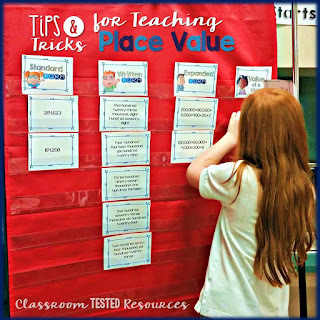 Today I want to talk Place Value and tips to help you teach it. Over the past few years I feel like I am FINALLY getting a grasp on teaching Place Value. Sure, I've been teaching it, but I've just felt like my students and I couldn't get in a groove with it between learning procedures and all of the beginning of the year stuff and figuring out our Interactive Notebooks. It just seemed by the time I really got into Place Value it was time to move on and my kids didn't seem to be ready for us to go forward. I'm here to give you some tips if you are or were in that same situation. Here are the things I've learned that have really helped me in teaching the concepts and getting students to understand what they are doing. You cannot rush students through understanding the places. You have to help them to learn the values of each place. I use chants, songs, anchor charts...anything I can find or make to help this happen. My students learn to chant the place value as they point to them and we practice reading numbers. Here is the anchor chart I use with the students. We make it together on the pre-created Anchor Chart Parts Poster and then students glue their copy in their Interactive Notebook so they have it for a reference later. For every number we make we read it out loud before deciding the value of a digit in the beginning. This has helped them tremendously. I provide students various chances to explore. Of course we start with Base 10 blocks first and we practice making numbers. I then move to the paper version of Base 10 as well as Standard form. From there we begin pulling apart numbers and putting the Expanded form with the Written form and Standard form. One of my favorite activities to do with Base 10 blocks is to have students race to create numbers with the base then blocks. For instance, give each group Base 10 blocks. Then write a number on the board, have them make the number with Base 10s. The first group to assemble and get their heads down gets a point. We do this until time is up. I have also reversed it and I have shown students the blocks and then had them write the numbers on a dry erase board. First group with the correct answer as a whole group wins. 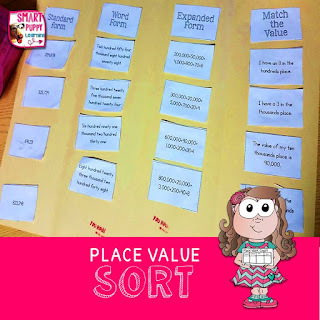 You can find the Place Value Sort here. Don't forget to provide tons of practice in a variety of ways. 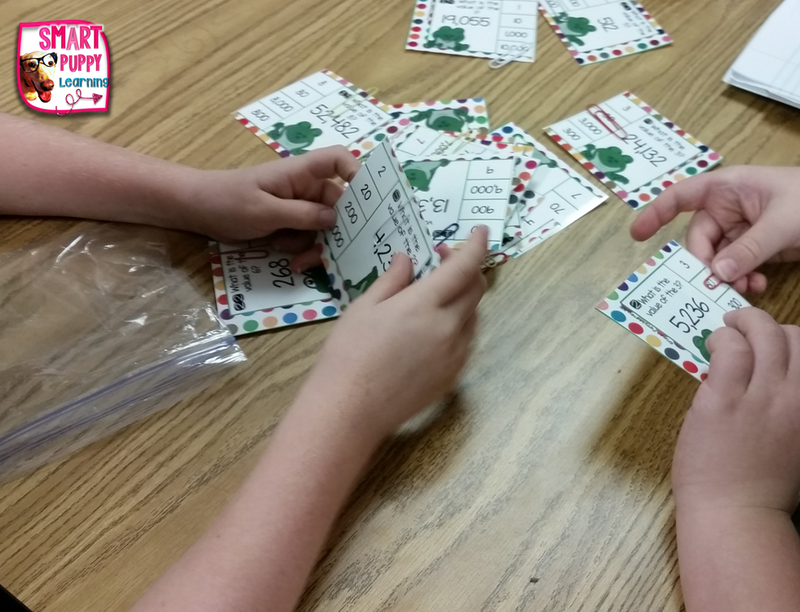 Place Value is one of those skills that it really can take a child all year to get. The more ways you show them, the better chance they have of getting it. 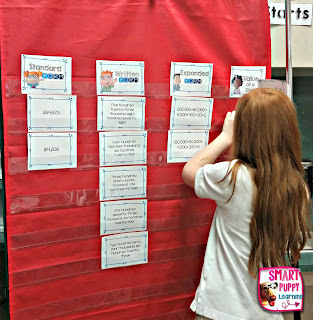 I teach students to place games and do activities that are part of their spiral review. Centers are your best friend in this instance because you can move on to other concepts, but still insert that practice in your center time to review the skills and keep them fresh. 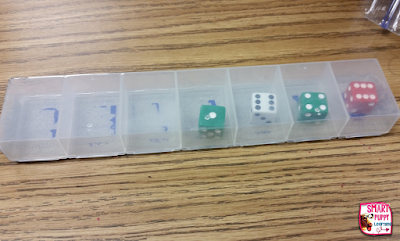 The dice shaker is one of my kids favorites! Get a week long pill container. Put dice in as many compartments as you need. (Tape the back so they don't fly out when they shake it). Students shake it and read the numbers or write the form you tell them to put it in on white boards with partners. I will have some other fun games featured with the shakers later on my personal blog. 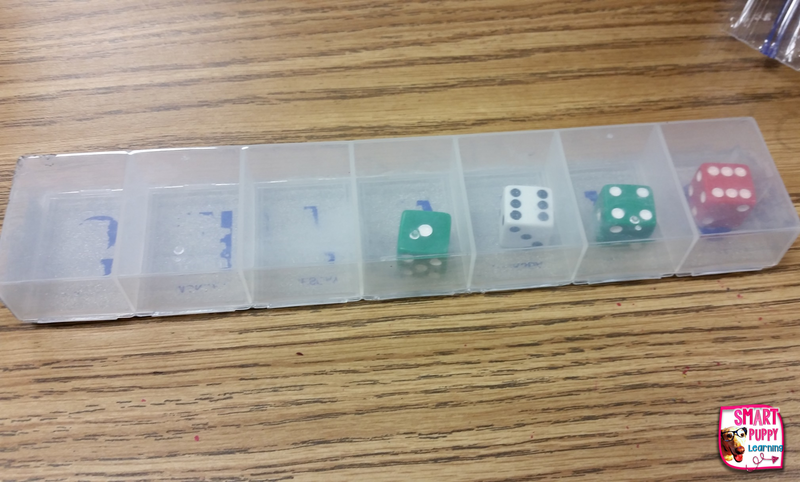 The pill boxes can be found at Dollar Tree so it makes for an inexpensive game. 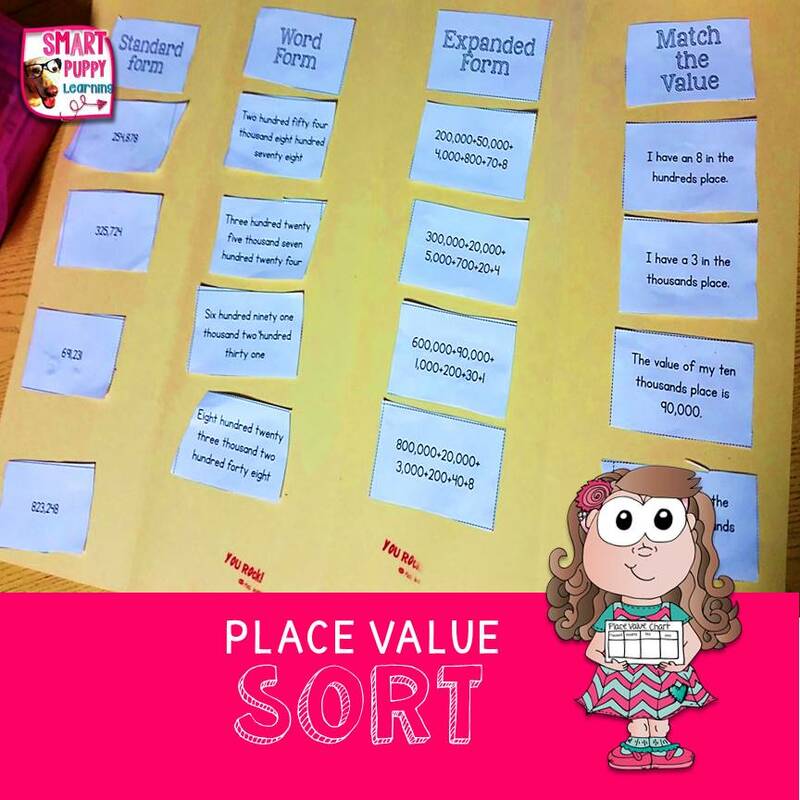 Another way we practice is with a Pocket Chart Sort that works the same as the place value sort that the students do on paper. Students sort the cards and place them under the correct form of the number and they have to have the corresponding answers go across to match the number as well. You can learn more about this center or get it here. Finally, one of my third favorite centers to use with them is a Clip It game. I use these centers all the time and I will be adding more soon as a way for students to practice. It is a great way for them to practice concepts using a familiar activity that they already know the routine for. Clip Its use paper clips to choose the correct answer. Students have the cards in a pile (these two aren't the most organized of my students, lol). As you can see on the left the paperclip starts on the top of the card. Students read the question and then slide the paper clip to the correct answer (as seen on the right). The students both answer a question simultaneously, then switch and check each others work. I also sometimes give my students Sentence stems to question each other over their answers depending on the concept. As I said I have these for my students for varying topics, but with the same rules so that they know the procedures. Here are two sets of Clip Its that go with Place Value. Click on each image for more information. 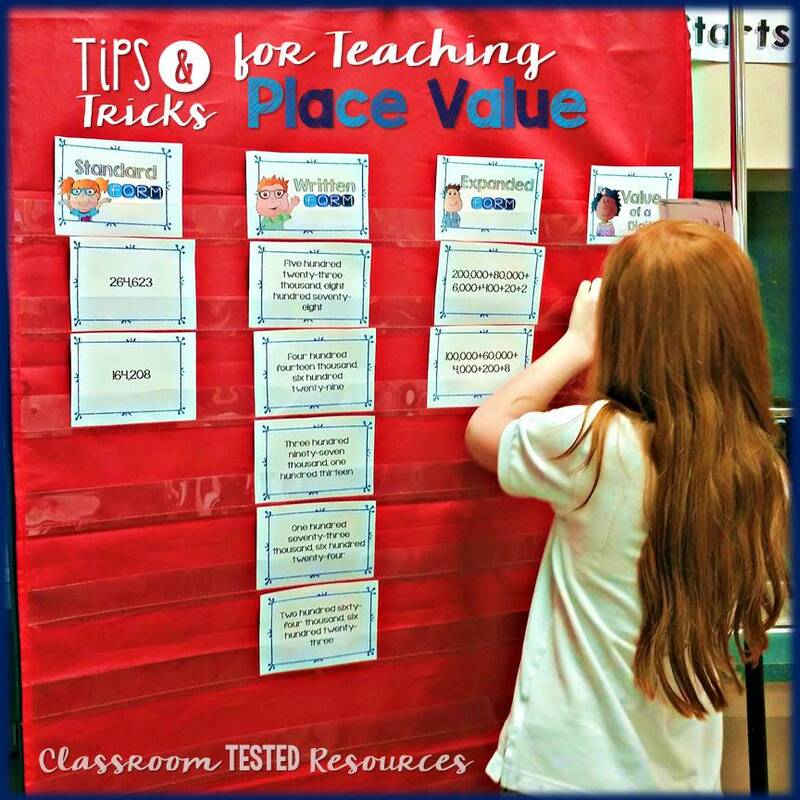 Thanks so much for stopping by and I hope you found some useful tips and tricks for teaching Place Value!